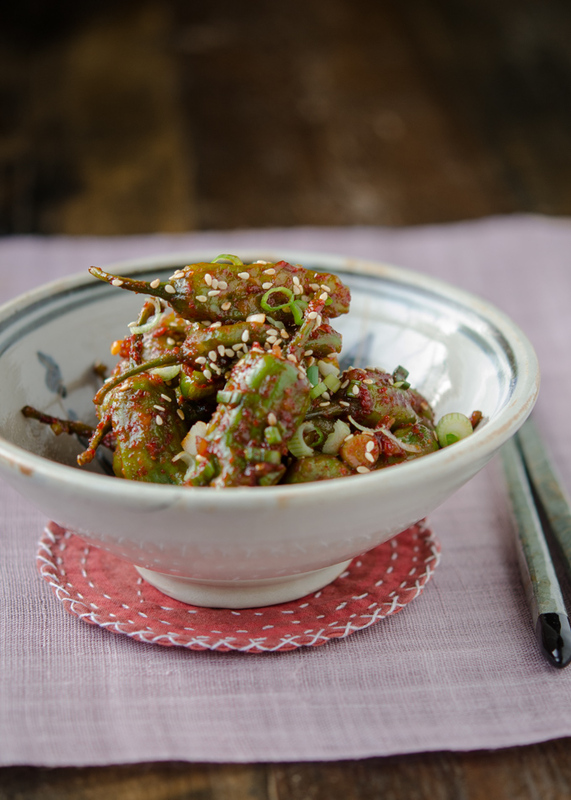 There are many different Korean side dishes made with seasonal summer produces. Out of all those, these steamed chilies are one of my favorites. My mother used to make this quite often when there were a bounty of these little wrinkled chilies available in a local market. I could literally empty a bowl of rice with this side dish alone. It is full of flavor and nor overly spicy, just tender and so good! So these are the specific type of chilies that you have to use for this recipe. If you go to Korean grocery store during spring and summer months, you can easily see these chilies. We call it Kkawri-gochu (꽈리고추). 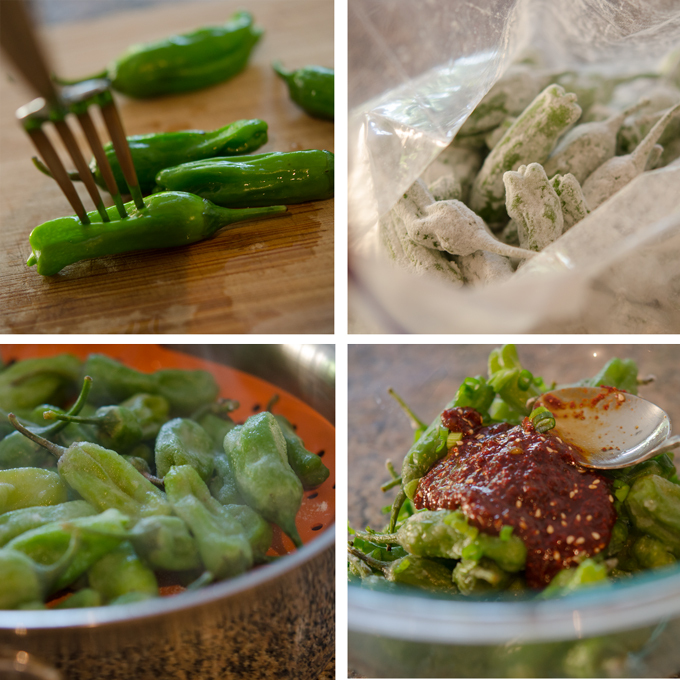 These small wrinkled green chilies are mild chilies and perfect to enjoy as a side dishes that you can serve with rice. The making of steamed chilies is quite simple. You need to poke each chili with a fork for even cooking during the steaming time. Toss the chilies with either plain flour or rice flour depends on your preference. Steam them until soft, then toss them with the seasonings. That’s it! They are somewhat spicy but not overwhelmingly, though. You will love their gentle yet chewy texture. Some dishes do bring some wonderful memories. As I was enjoying these steamed chiles, I could picture the scene of my family’s dinner table in my childhood along with all the summer fun I enjoyed with my sisters and friends. 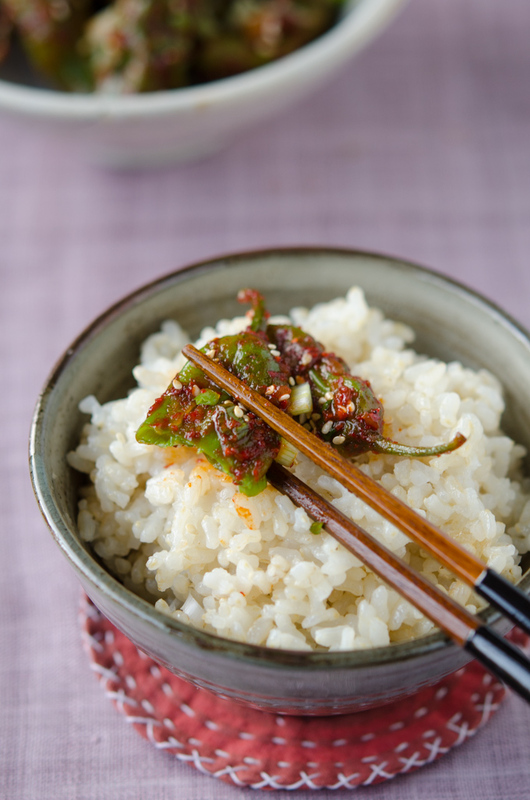 And these humble steamed chilies on my rice bowl….? Yes, they were also part of the scene as well. 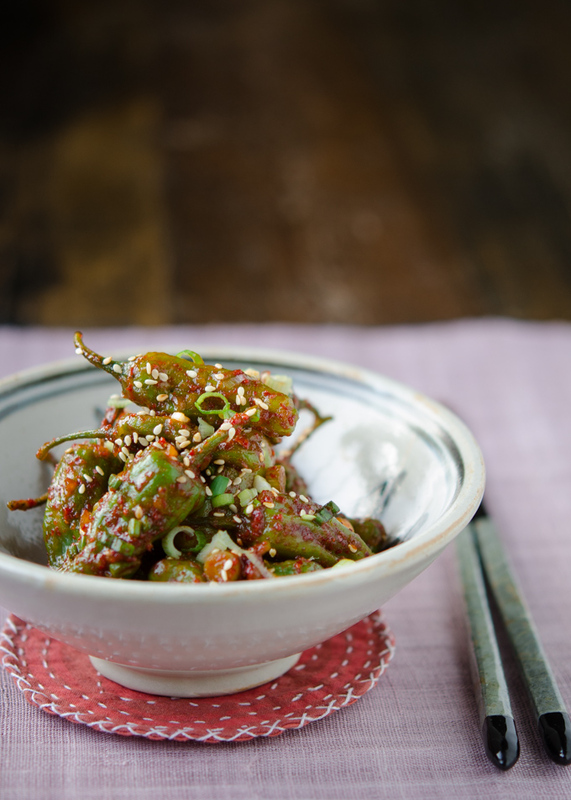 Wrinkled green chilies are steamed and seasoned with Korean condiments. 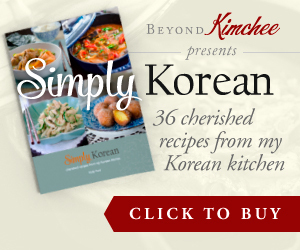 One of the popular Korean summer side dishes. Place a steamer over the water in a large pot and heat over med-high heat. Meanwhile rinse the chilies with water. While wet, poke each chili once with a fork. 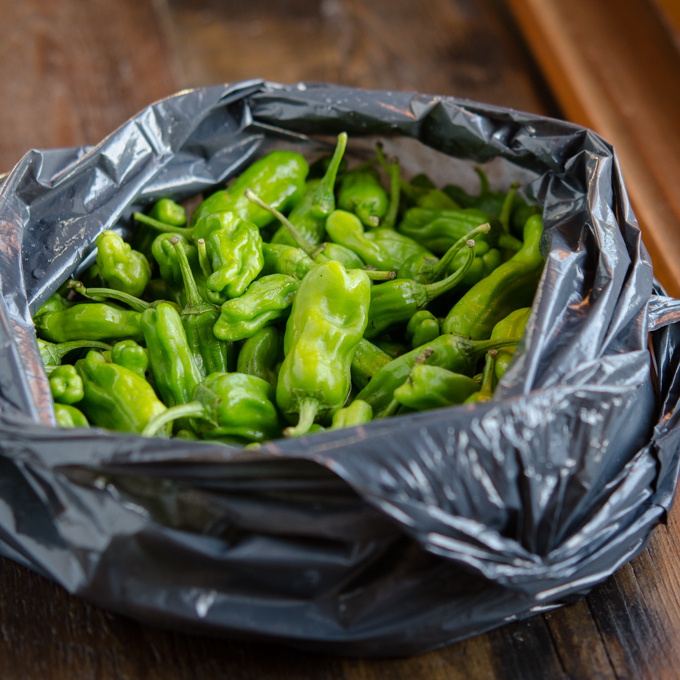 In a plastic bag, combine the wet chilies and flour. Shake the bag to coat the chilies with the flour. Take the chilies out of bag shaking off the excess flour, place them in a hot steamer and steam for 3-4 minutes or until the coating seems translucent and not showing the raw flour on the surface. Meanwhile, combine the rest of the ingredients in a small bowl, and mix well to make seasoning paste. Place the steamed chilies in a mixing bowl, add the seasoning paste. Toss well to coat the chilies evenly with the seasoning paste. 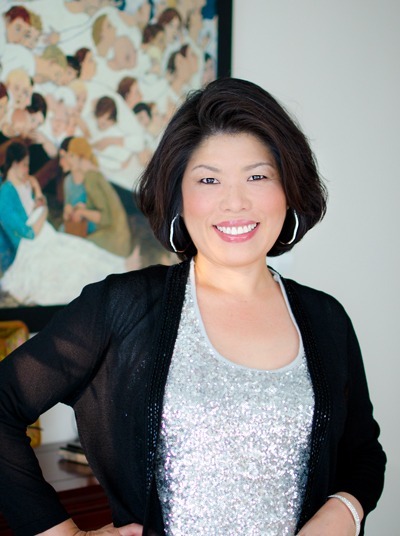 Serve warm or at room temperature with rice. The leftover can be stored in a fridge for 1 week. A co-worker grows these and gave me a baggie full. I am totally going to try your recipe with them. Thanks for this recipe! I found these chili peppers at my Korean grocery store and made it for dinner. Yum! I do so many different things with chillies but I would have never thought of steaming them. What a fantastic idea! (Actually one of our "standard" Swiss supermarkets carries exactly the same chillies all year round; they come from Italy or Spain, I don't remember, but they look exactly the same, so I think I can test this dish quite soon).